What is there to say about the book that got me started? Zombie Slayer is the story of Julia Maraton, a normal girl who woke in a living nightmare: the streets of Seattle are crawling with the walking dead. 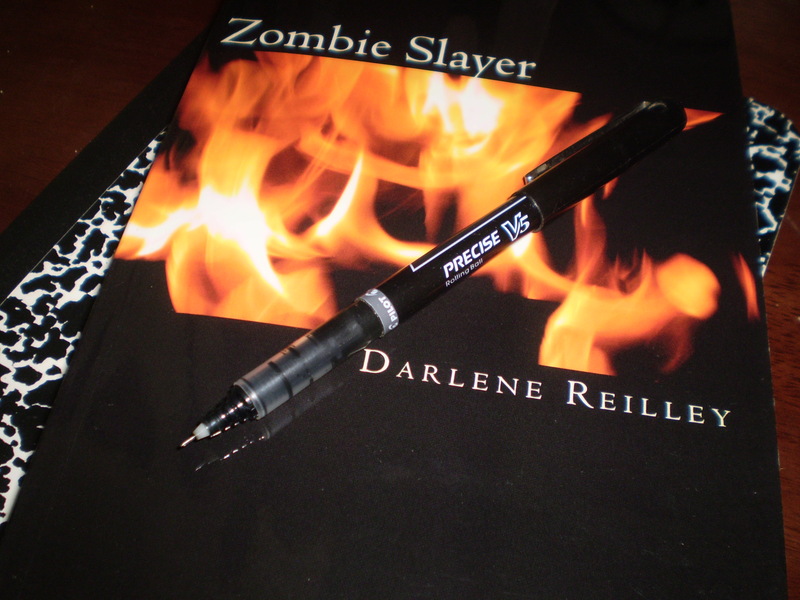 In order to survive she must band together with a rag-tag group of survivors. After hashing it out while trapped in the Westgate Center, they formulate a plan: head North to Alaska and Julia’s family home. Escaping Seattle is only the beginning; now they must deal with desperate survivors and zombies running amok. Zombies are on boats, in the water, and on land. They must also deal with a murderer in their midst. The survivors join forces with a boat of surviving Navy Seals and the few survivors they find along the way to the fortified shelter of Julia’s childhood home. Julia risks the fate of humanity as well as her heart to ensure there is a future for the human race, and ultimately makes a decision which effects everyone. Julia Maraton is the Zombie Slayer. I love this book. When I published it in 2010, it was the best I had to offer. Now I look back and see the errors – and I want to correct them before sending it out into the world again.